Specifically designed for both privacy and companionship, the two bedroom deluxe is perfect for groups or famillies looking to reside together. Contemporary to a tee this suite gives groups who stay here a living experience to remember. 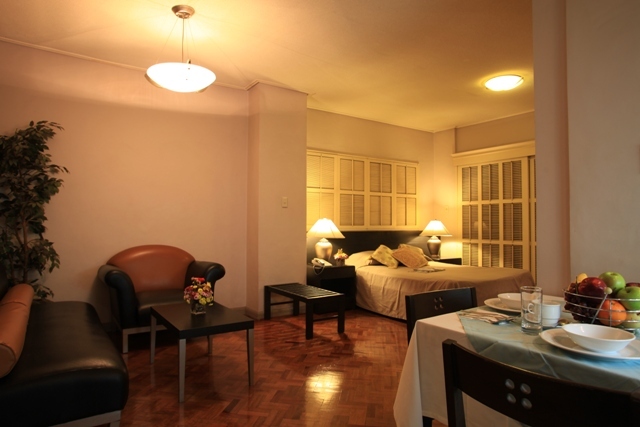 the Two-Bedroom Suites are the showcase suites of Mabini Mansion. 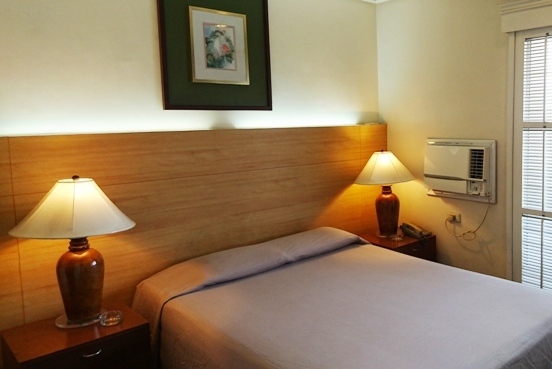 Outfitted with pristine narra flooring, the Deluxe Room supplies the perfect classic feel. Ideal for guests on an extended stay who long for the comforts of home, the renovated Deluxe Rooms cater to your every need. 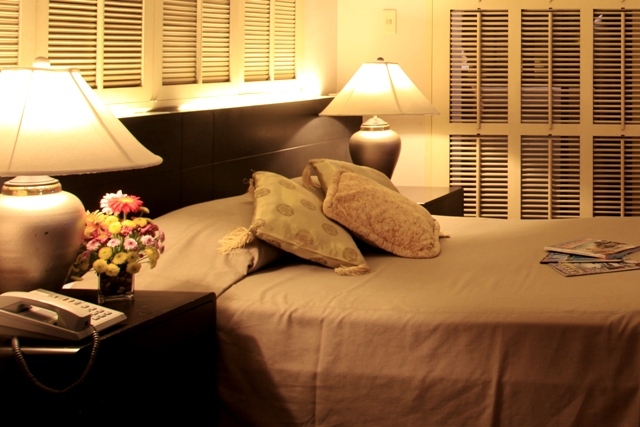 Mabini Mansion's One-Bedroom Suite is the pinnacle of private living in urban Manila. 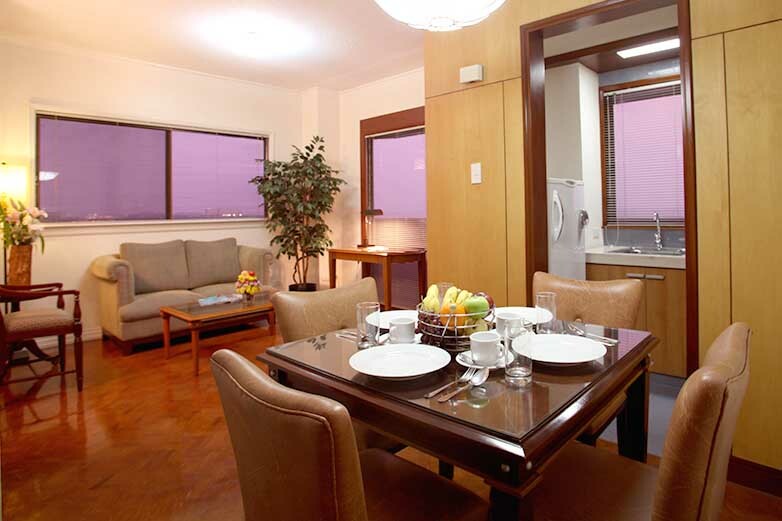 From the carpet flooring to the fully furnished kitchen area, the One-Bedroom Suite makes every Manila experience worthwhile. 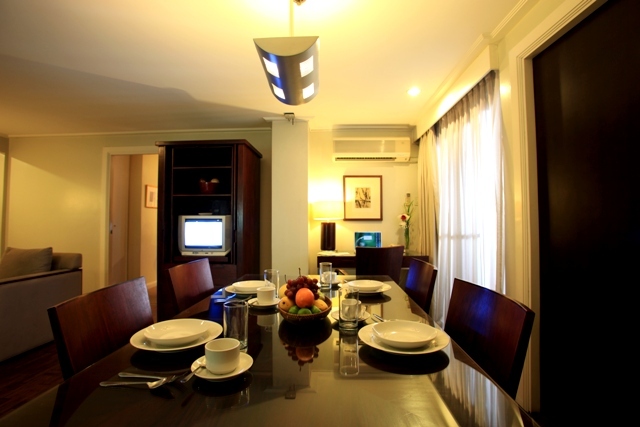 Located on the middle floors, this classic abode is the choice for businessmen and solo travellers around the area. Equipped with a spacious floor and dining area, living is made large in this unit. With its artistically designed interiors and spacious area, The Two Bedroom Deluxe is perfect for groups or famillies looking to reside together. 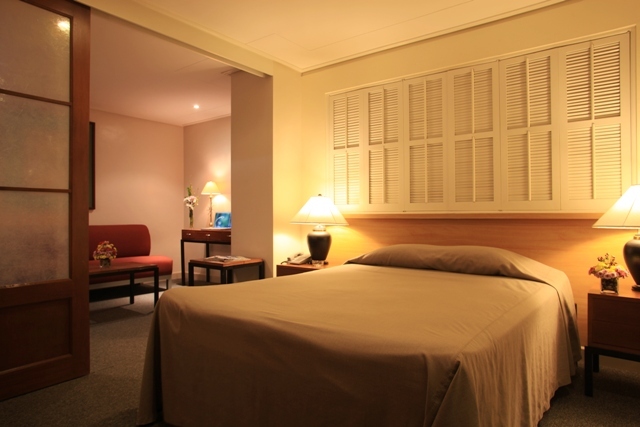 Specifically designed for both privacy and companionship, its private rooms and living area are ideal for either. Ideal for groups and families, the Two-Bedroom Standard accomodations include everything from a fully furnished kitchen to private bathrooms, bed space and a sizeable living area. 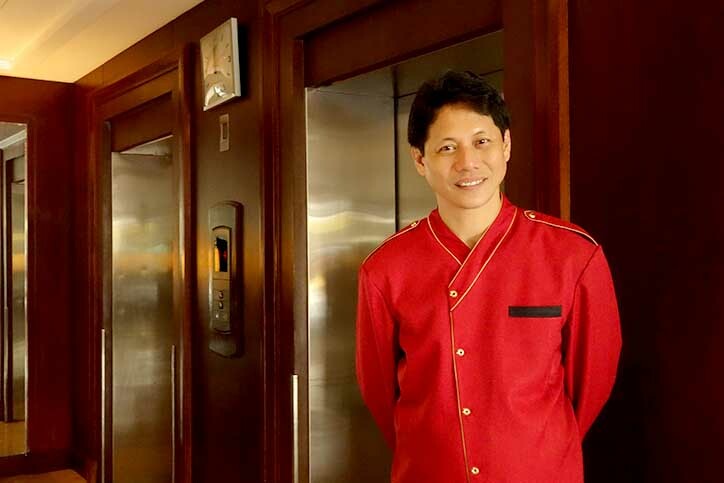 "We want you to have a very pleasant stay. 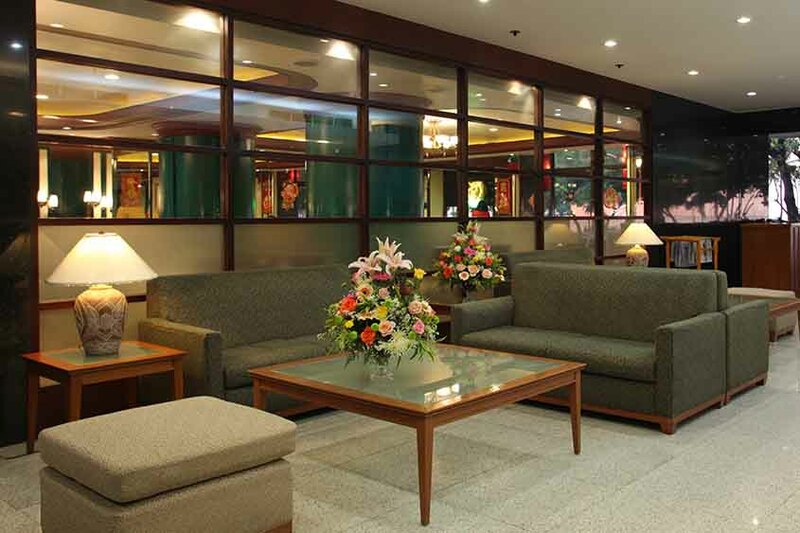 We have furnished each room with amenities that would make you feel “just like home”.